Today it seems fashionable to redefine most anything. It has become socially acceptable to order daily life according to personal thoughts and experiences. Yet, the truth remains that we humans do not have the power or authority to redefine that which God defines. We cannot deem acceptable that which God declares sinful. Ezekiel warns the people of God to be on guard against sin. Those who fail to recognize evil will certainly fall victim. John says that those who deny their sin continue to walk in darkness, severing their fellowship with God and his people. In its attempt to redefine what God has ordained, the world lives in darkness and denies its sin. In this, humanity remains blind to worldly disobedience, breaking fellowship with God and walking under the veil of darkness. Yet God does have mercy upon those who confess their sin. Jesus asked the two blind men seeking restoration, “Do you believe I am able to do this?” In faith they responded, “Yes Lord.” Just as Christ lifted the veil of darkness from these men, so too does Christ forgive sins and restore fellowship to those who confess and believe he is Lord and Savior. Thanks be to God. 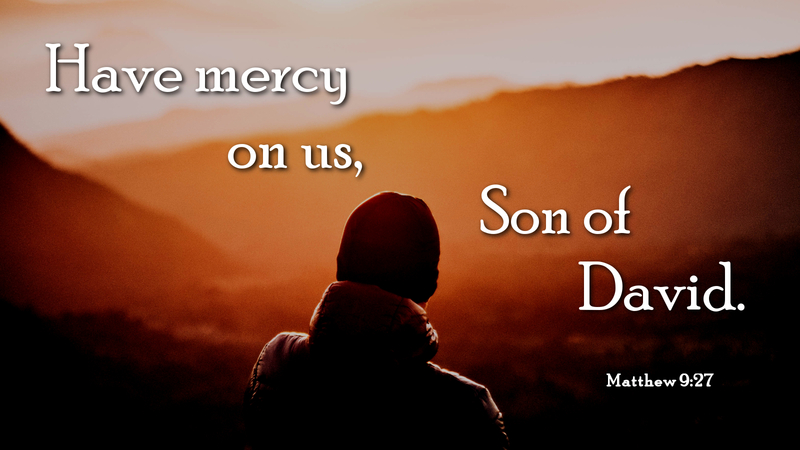 Prayer: Merciful God, hear our confession and remove the stain of our sin through Jesus Christ our Lord. Amen. This entry was posted in Forgiveness and tagged Christianity, Confession, Confession of sins, Faith, Faithful, Forgiveness of sins, Forgiving others, Grace. Bookmark the permalink.